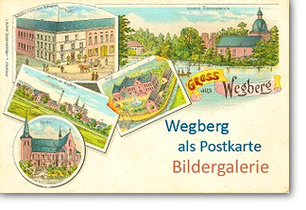 We are happy to welcome you to the website of our "Historischer Verein Wegberg". Our website provides plenty of information about our club for local history and our aims, acitivities, events and publications. The club "Historische Verein Wegberg e.V." was founded in 1990. Our aim is to explore and document the local history of the town of Wegberg. We maintain a library with more than 3000 books concerning local and regional history. You are welcome to contact to find out more about us and our team will do their best to answer your questions.